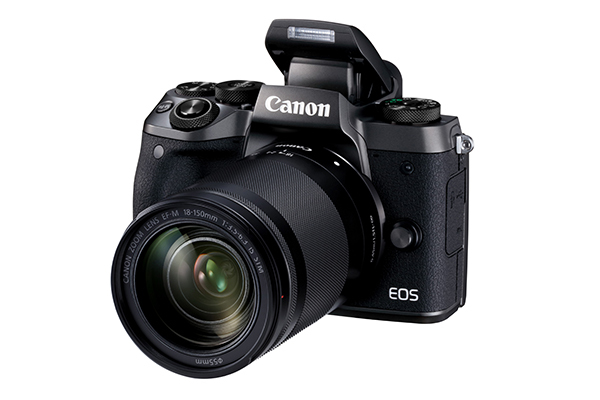 Ideal as an alternative to mid-level DSLR cameras or a compact companion for high-end photographers, the EOS M5 is set to be the new flagship mirrorless camera from Canon. This camera promises boosted image processing power with lower noise, more detail and richer tones thanks to the DIGIC 7 processor. To couple this with the 24.2MP sensor images are less susceptible to digital noise. With similar technology to the EOS 80D dynamic range, editing latitude and shades and contrast are improved. It boasts DSLR-level AF speeds and accuracy, while sophisticated recognition and subject tracking of DIGIC 7 helps the camera lock onto subjects for longer and more precisely in both movies and stills. When using the viewfinder, the LCD touch screen can be turned into a touch pad, letting you use your thumb to change the AF point or zone, mimicking the Multi-controller ‘joy stick’ function of a DSLR. The M5 will be available from end-November 2016 with an RRP of £1,049. Alongside Wi-Fi and NFC, the EOS M5 offers Bluetooth® connectivity[i] – which creates a constant connection between your smartphone and camera. From there you can view and transfer images without taking the camera out of your bag, as it automatically shifts to Wi-Fi when needed. The feature can also be used to turn your smartphone into a simple, low power remote control for prolonged remote shooting or capturing scenes that require a fast shutter release, such as wildlife shoots. The EOS M5 body only will be available from end-November 2016 with an RRP of £1,049. The EOS M5 with the EF-M 15-45mm f/3.5-6.3 IS STM lens will be available from end-November 2016 with an RRP of £1,149.